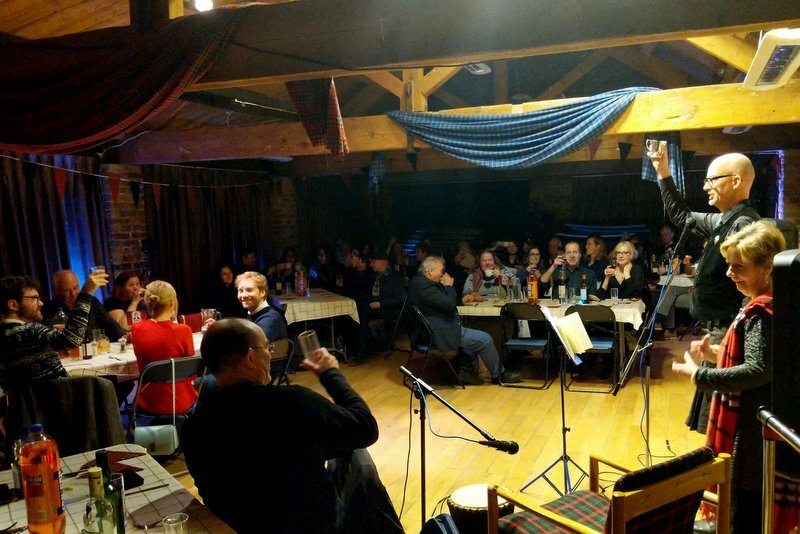 The Burns Supper was a lot of fun with a flamenco dance to bagpipes, ‘Wee Jock’ performing a powerful rendition of ‘Tam O’Shanter’, and an excerpt from Braveheart. The Toast to the Lassies was delightful; and former Bond Girl, TV presenter and entrepreneur Catherine McQueen replied with a Toast to the Laddies in the form of a charming poem she had written herself. Sharleen Spiteri dropped in to read A Winter’s Night, justifying her ownership of a school Burns Certificate.